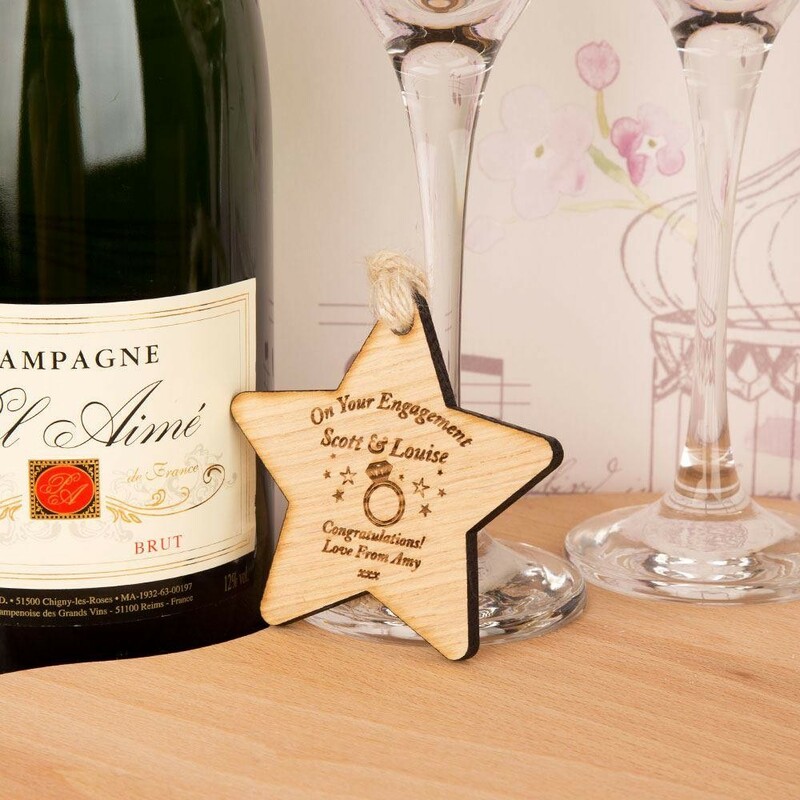 Made from solid oak, this is the perfect keepsake for the happy couple who are celebrating their engagement. 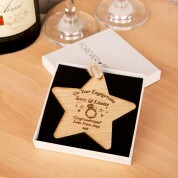 The design features an engagement ring and star design along with the couples names and a short personal message. It has a loop of flax twine attached to the top so it is ready to hang up in their home on a window latch, cupboard door handle or on a pin board. 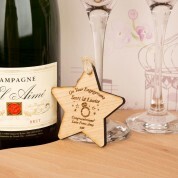 This gift is well presented in a gift box so is ready to give to the couple. They will keep it up in their home for many years to come even after they are married as it will act as a special reminder of their engagement days. 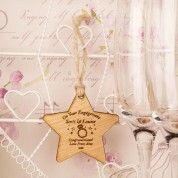 Dimensions: Approx 7.5cm x 7.5cm x 5mm thick.